Northwestern, Loyola and the University of Chicago say that as private colleges, they are exempt from the state’s Freedom of Information Act, which requires police departments to release policies and procedures upon request. Private universities in Chicago are keeping even the most basic information about how their armed officers are supposed to do their jobs from the public, despite promises to increase transparency. In April, University of Chicago announced that it would begin releasing information about “how the [university police] department fulfills its duties.” The move was intended to mollify student and community activists—and headed off a bill in the state legislature that would have required them to release the same information to the public that municipal police departments do. 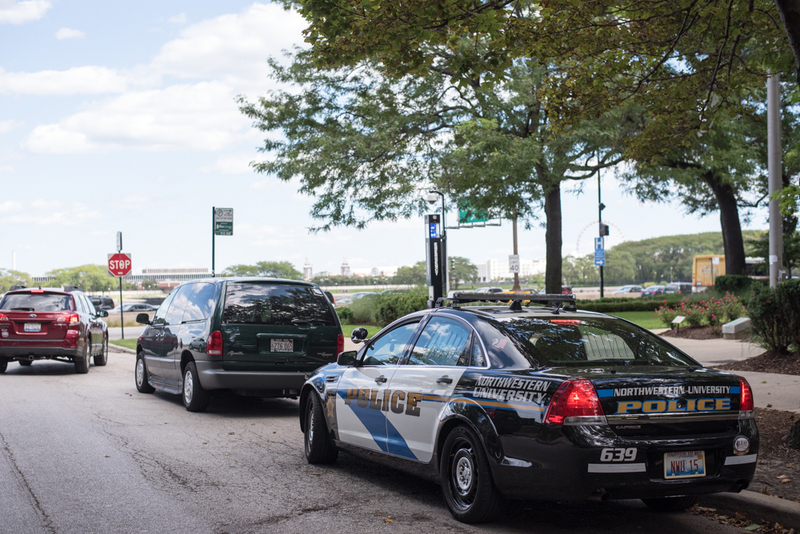 This month, the Reporter tested that pledge of transparency by asking U of C and the other two private universities in Chicago with armed, sworn police departments—Northwestern and Loyola—to provide us with a copy of their departments’ policies, procedures and directives, the documents that govern a police officer’s day-to-day duties and responsibilities. All three denied our request. But President Obama’s Task Force on 21st Century Policing said the opposite in its final report released in May. The eleven-member committee, which included police chiefs, law professors and civil rights advocates, recommended that law enforcement agencies make department policies, along with data on stops and arrests by police, available for public review. Many municipal police departments, including the Chicago Police Department, make their policies and general orders available online. CPD’s directives cover everything from use of deadly force to the appropriate length of an officer’s hair. The three universities we requested directives from employed more than 160 sworn, armed police officers combined in 2011-12, the most recent year for which data are available. All three have jurisdictions that extend beyond the borders of their campuses in Chicago (and in Evanston, too, for Northwestern), which means that members of the public can be arrested by a campus cop, but are unable to find out whether the officer who arrested them violated internal procedures in the process. “Loyola maintains the records you have requested as confidential and does not make them available to third parties,” a spokesman for the university wrote in an email. Loyola’s police department was also the only one in Illinois that didn’t disclose, in the Department of Justice’s Survey of Campus Law-Enforcement Agencies, the extent of its jurisdiction or which firearms its officers are authorized to use. A Northwestern spokesman wrote that “we respectfully decline” to provide campus police policies, because the university is not subject to the Freedom of Information Act. But open government and police accountability advocates argue that private university police should be subject to state public records laws, because they perform a public function. In Illinois, a bill that would have made private college police subject to the state’s FOIA law died in the state Senate in May. The bill’s chief sponsor, Rep. Barbara Flynn Currie (D-25), told the Reporter she hopes to reintroduce it in the fall session. The University of Chicago spokeswoman said in an email that the university is considering releasing more information about its police department, but she did not specify the kind of information or the timeline for release. Rep. Currie said this is why she believes a law is necessary to hold private universities to their promises to release information about their police departments. However, there hasn’t been any new movement on her bill, she said. Existing laws shield reports from public view under the mayor’s plan to overhaul police accountability. The University of Chicago Police Department is a private force of about 100 officers that has the same policing authority as municipal police officers. But despite its large patrol area, which includes about 53,000 residents, and its full authority to make stops and arrests, it is not required to make its records public under the state Freedom of Information Act. Municipal police departments are subject to the act.